Serena Williams reacts after defeating Kaia Kanepi, of Estonia, during the fourth round of the U.S. Open on Sunday in New York. 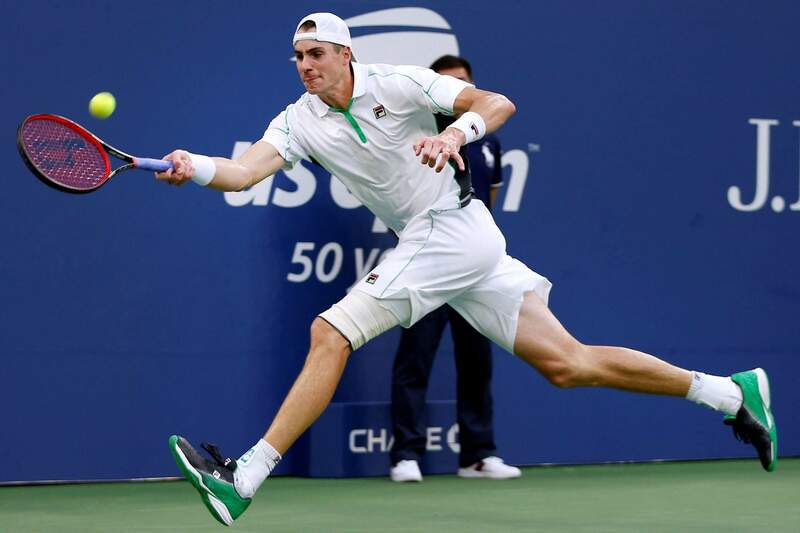 John Isner returns a shot to Milos Raonic during the fourth round of the U.S. Open tennis tournament on Sunday in New York. 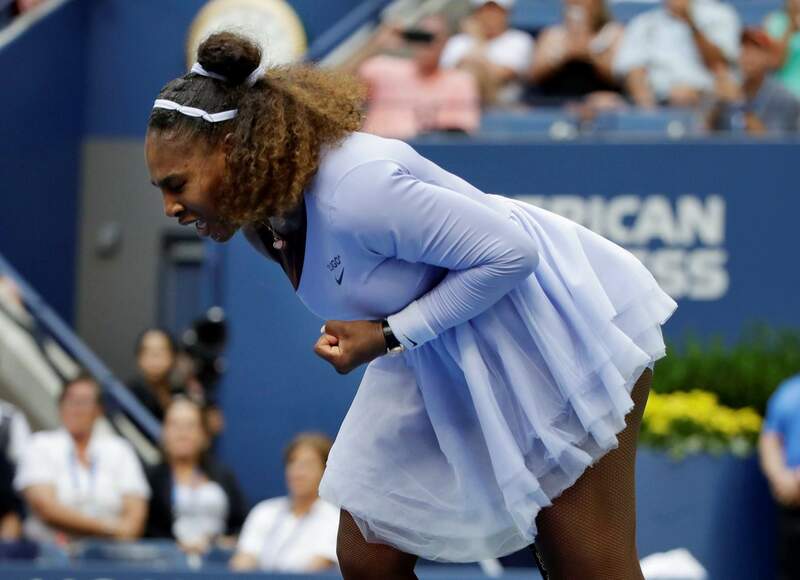 NEW YORK – Serena Williams’ yells of “Come on!” crescendoed right along with the tension in a fourth-round U.S. Open match that began as a rout and suddenly became riveting. Williams reached the quarterfinals at Flushing Meadows for a 10th consecutive appearance — she wasn’t there last year because she gave birth to her daughter during the tournament – by picking her level up after a lull and using 18 aces to beat Kaia Kanepi of Estonia 6-0, 4-6, 6-3. This will be Thiem’s first quarterfinal at a major other than the French Open – and his first match against Nadal on a surface other than red clay.